Uxbridge piano teacher, Phyllis Matthews, held a concert for her pupils every year in a hall in Uxbridge. 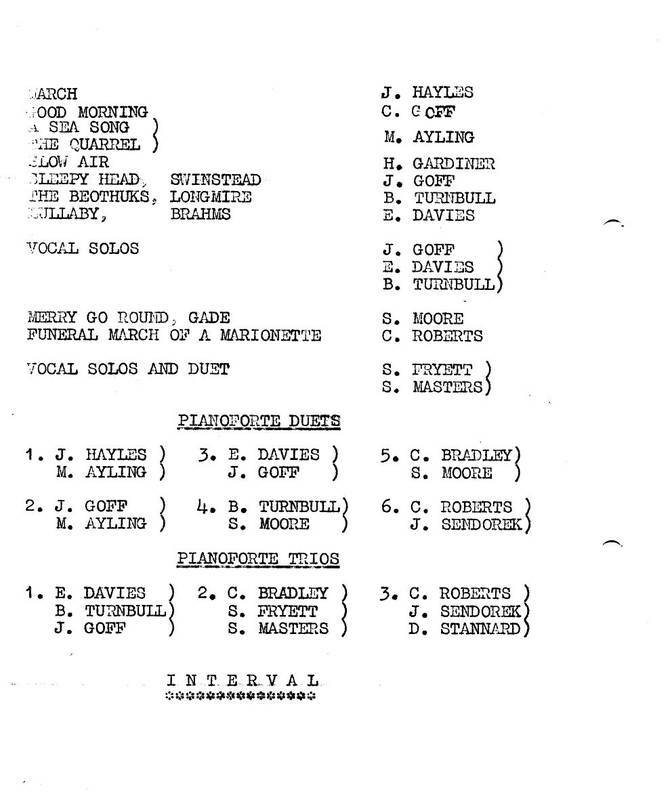 This is the programme for the concert in May 1968. Were you there or do you know someone who was? Marian wondered what the "March" was I played in this concert. I would still have been 6 at the time, so I suspect it would probably have been a march from the Smallwood's Piano Tutor. I shall have to see if I can find a copy and see if there's a march in there. I remember the first two books I learnt music from were the Smallwood's Piano Tutor and a book called "Sugar and Spice". Amazingly, Sugar and Spice is STILL on sale with exactly the same cover illustration and so is Smallwood's Pianoforte Tutor, again with exactly the same cover!! Actually, the cover may have changed slightly, if you compare it with this second hand one for sale on Amazon.